Can Bluetooth Technology Help Warn Distracted Pedestrians Looking at Their Phones? Researchers said an uptick in pedestrian deaths is likely linked to increased cell phone use. The proposed solution is sending an alert to the pedestrian's phone, which would then prompt them to look at the phone just as they are about to cross a busy intersection. "Unlike most medical conditions, the pedestrian injury rate is currently increasing in the United States," according to the grant for the project. "This project will study the efficacy of an intervention to reduce distracted pedestrian behavior using smartphone technology." "Over 4,800 American pedestrians die annually, a figure that is currently increasing," the grant states. 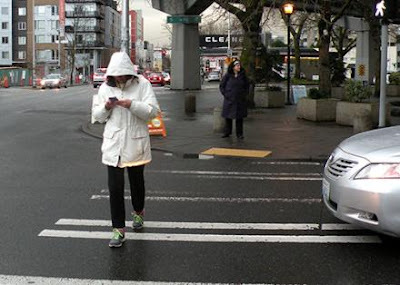 "One hypothesized reason for the increasing trend in pedestrian injuries and deaths is the role of mobile technology in distracting both pedestrians and drivers. Existing behavioral interventions to reduce distracted pedestrian behavior are few." "We propose to develop and then evaluate Bluetooth beacon technology as a means to alert and warn pedestrians when they are approaching dangerous intersections, reminding them to attend to the traffic environment and cross the street safely rather than engaging with mobile technology," the grant explains. Bluetooth technology will be placed at intersection corners that will send college students an alert through an app, with a message, sound, or vibrating warning. The app might also freeze a users cell phone screen when crossing the street. "[F]or research purposes, the app also will download data concerning the users' behavior while crossing the street," the grant states, including if a user stops using their phone, puts it in their pocket, or leaves music on. The project began on Sept. 1 and has received $172,321 from taxpayers. Research will continue through August 2020. Narrative Pedestrian injuries kill over 5700 Americans annually, including about 665 young adults ages 18-25. Unlike most medical conditions, the pedestrian injury rate is currently increasing in the United States. This project will study the efficacy of an intervention to reduce distracted pedestrian behavior using smartphone technology. Read more about the Grant. 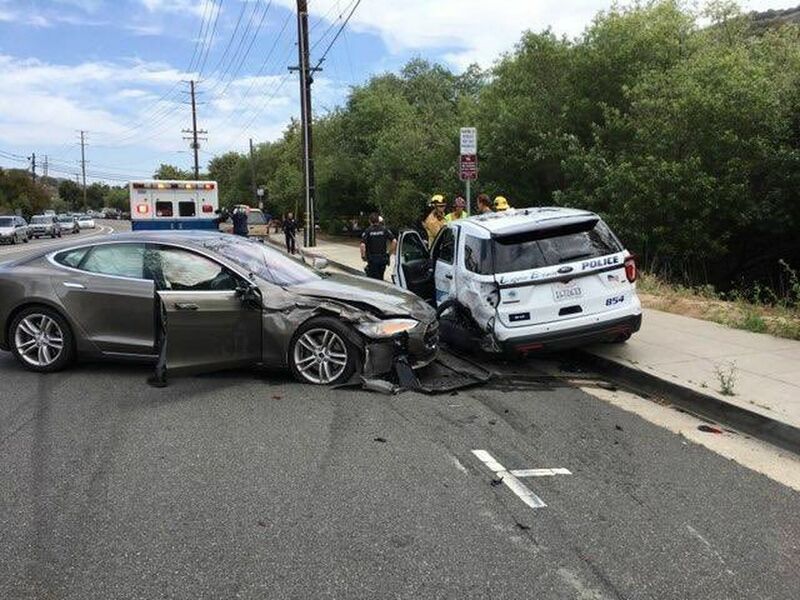 There now have been 2 reported locations where Tesla cars have crashed at the same location more than once. The media has also reported 2 autopilot fatalities in the last 2 years as well. Here is a map of these locations. To find these locations visit badintersections.com and do a search for "autopilot" on the map. 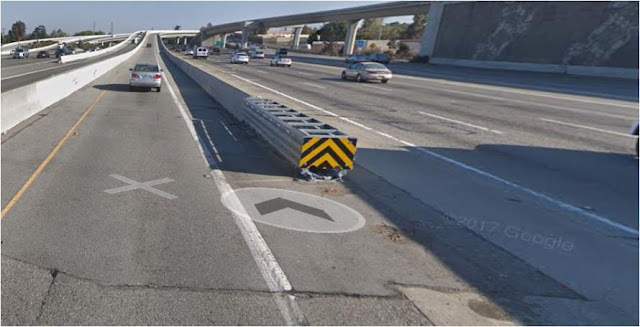 The first California autopilot crash happened near San Jose on the freeway where the Tesla autopilot was confused by faded lane markers on the freeway. The second autopilot crash happened recently in Laguna Beach because of similar confusing lane and parking street markings. See photos below. 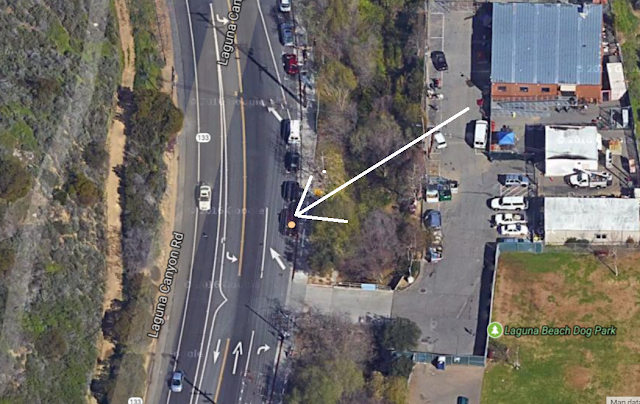 This satellite image map clearly shows a dangerous parked car location as the lane merges. How often does Google Maps or Waze suggest directions that are illegal? Illegal left hand turns are probably the biggest cause of accidents at intersections. How could this hazard have been overlooked by Google's directions? Are these companies liable if they suggest dangerous or illegal directions? We had this scary experience yesterday and thankfully we were paying attention and turned right instead of crossing a busy intersection and turning left. This probably happens more often than is publicized. We want to know your experience on BadIntersections.com. Please share bad directions with us on our map to help navigation companies like Google Maps, Waze and Here improve their directions. Here is a forum of some content that we found from 2012. "Navigation suggests illegal turns." A Los Angeles councilman is asking the city to consider legal action against Waze over complaints that the navigation app is recklessly guiding motorists off thoroughfares and into residential neighborhoods in search of shorter or quicker routes. Councilman David Ryu sent a letter Tuesday to the city attorney’s office, outlining what he says are dangerous conditions created by Waze users who are looking for “alternate routes to traditional arteries” in neighborhoods from Hancock Park and Los Feliz to the San Fernando Valley. Ryu claims one narrow street in his Sherman Oaks district sometimes sees more than 650 vehicles an hour because of drivers using the Google-owned app. He says the increased traffic is causing accidents and damaging roads not meant for heavy traffic. “If we do nothing, Waze will lead us on a race to the bottom – where traffic plans are ignored and every street is gridlocked,” said Ryu. The councilman says he’s proposing the lawsuit because Waze has “repeatedly failed to fix significant safety concerns” he has raised. An email seeking comment from Waze was not immediately returned. Read article. Ryu claims one narrow street in his Sherman Oaks district sometimes sees more than 675 vehicles an hour because of drivers using the Google-owned app. He says the increased traffic is causing accidents and damaging roads not meant for heavy traffic. Read article. RCMP say 14 people are dead and 14 people were injured Friday after a truck collided with a bus carrying a junior hockey team to a playoff game in northeastern Saskatchewan. 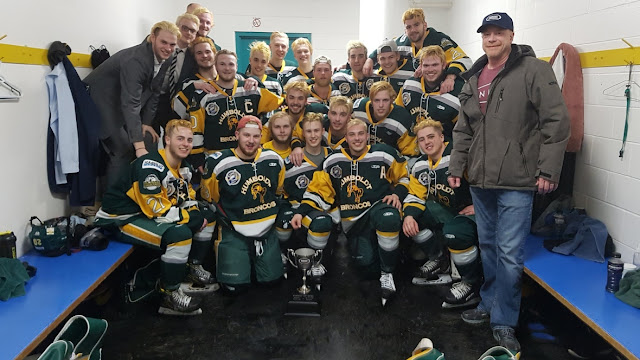 Police say there were 28 people including the driver on board the Humboldt Broncos bus when the crash occurred at around 5 p.m. on Highway 35 north of Tisdale. "We can now confirm fourteen people have died as a result of this collision," RCMP said in a release early Saturday. "The other fourteen people were sent to hospital with a variety of injuries; three of these people have injuries that are critical in nature." On its website, Tesla says it’s now also using a dozen updated ultrasonic sensors “allowing for detection of objects at nearly twice the distance of the prior system.” The company also advises its customers to keep their hands on the wheels, and to pay attention. Barez said, “I believe the Tesla is still pretty safe. It’s just a matter of the driver having to take responsibility as well.” The driver in the deadly crash, according to Tesla, did not take control of the wheel despite warnings. In his video Joshi grabs the wheel seconds before his Tesla would’ve slammed into the median: A couple years ago, Tesla CEO Elon Musk told reporters that California needed better lane markings, because it was confusing his cars’ autopilot feature. Tesla did not immediately respond to KPIX 5’s request for comment on Joshi’s video. BadIntersections.com has started mapping autopilot accidents and locations where drivers feel that Uber and Tesla did not make a good driving decision. 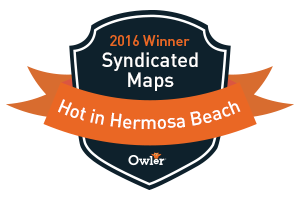 We are calling these locations "Autopilot Issues" on the map. Hopefully, autonomous vehicle companies will start using this historic data to help improve safety for future drivers at these locations. Do a search for "autopilot" in the title and you will find the data. Here is a theory we have without knowing all of the details of the Uber Self Driving accident. This information we are sharing is simply based on our knowledge of historic accident data. Please send your comments and feedback. This intersection looks dangerous from a satellite image based on the fact that there are no crosswalk lines and a walking path that basically invites you to cross the road. See the image above and below. We can't confirm that this was the exact location of the fatal accident but I would bet this is the exact cause based on the information shared we have gathered. Why is this path even here? After review of the Uber video we can confirm that the woman crossing the street was likely using this false cross walk. Notice where the dotted white lines begin. We will use this as a reference point below in the photos. Why Is This Walking Path in the Middle of the Road? A view from street level shows a sign directing pedestrians to use a crosswalk. Which begs the question again why is this path even here? Who should be more liable the City of Tempe or Uber? 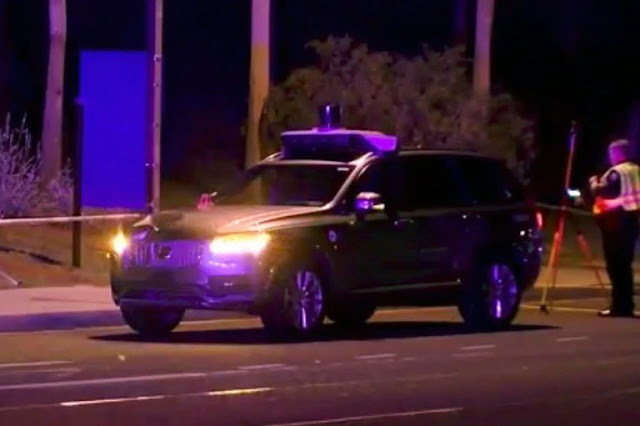 The accident occurred Sunday evening at about 10 p.m. when an Uber self-driving vehicle struck a pedestrian on Mill Avenue, just south of Curry Road, according to the Tempe Police Department. The vehicle was in autonomous mode at the time of the collision, with a vehicle operator behind the wheel, police told Fortune. 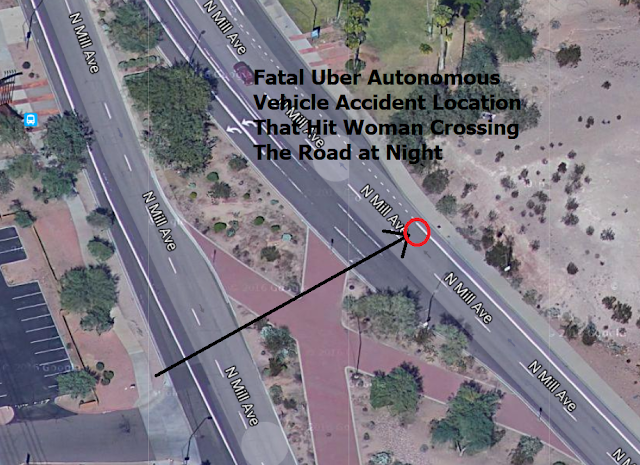 The female pedestrian, who has been identified by police as 49-year-old Elaine Herzberg, was walking outside of a crosswalk when she was struck by the Uber self-driving vehicle. She was transported to a local area hospital where she passed away from her injuries. The intersection is near Marquee Theater, a popular music venue and about 1.5 mile north of the Arizona State University campus. Here is more background on the victim Herzberg who has had some issues with the law. FIU Florida Instant Bridge Idea Maybe Not Fully Tested? Instant bridge? Not quite, but in a single morning Florida International University dropped a new elevated pedestrian span into place over the Tamiami Trail to provide students a safe route over the perilous roadway for the first time. Once it’s finished in early 2019, the new pedestrian bridge will link FIU’s Modesto A. Maidique Campus directly to the small suburban city of Sweetwater, where the university estimates 4,000 of its students live. The 950-ton span was then picked up, moved and lowered into place by special gantry cranes at the intersection of Southwest 109th Avenue in an operation that lasted several hours Saturday morning. A section of the Trail, also designated as Southwest Eighth Street, was closed to traffic Friday evening for the bridge installation, and will remain shut until 5 a.m. Monday. Companies behind instant bridge idea have a history of failures and lawsuits. Watch the FIU Instant Bridge Collapse and kill 6 innocent people 5 days later after being installed.